Negative cues from Asian markets, expectation of a US rate hike, weakening monsoon and a falling rupee eroded investor confidence at the Indian equity markets- leading a barometer index to slip by 24 points during the mid-afternoon session on Monday. The barometer 30-scrip sensitive index (Sensex) of the Bombay Stock Exchange (BSE) edged-lower by 24 points or 0.10 percent. Furthermore, a flat trajectory was witnessed at the wider 50-scrip Nifty of the National Stock Exchange (NSE). It tumbled by 14.45 points or 0.19 percent at 7,640.60 points. The S&P BSE Sensex, which opened at 25,302.98 points, was trading at 25,177.90 points -- down 24 points or 0.10 percent from the previous day's close at 25,201.90 points. 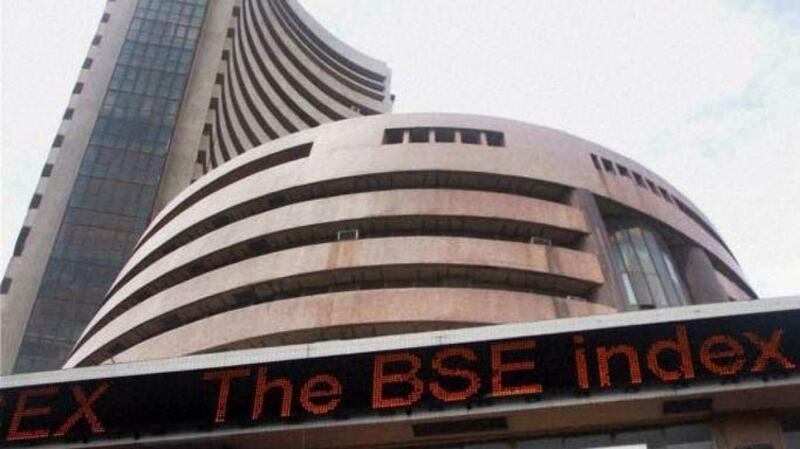 The Sensex touched a high of 25,387.32 points and a low of 25,056.80 points in the intra-day trade so far. Analysts elaborated that the markets were in an over-sold position, which hindered the investors to chase higher prices. In addition, lack of positive triggers and the expectation of a US rate hike has flared anxiety. "Investors are reluctant to chase higher prices. Markets are in an over-sold position. There are no new triggers for the markets to react," Alex Mathews, head research, Geojit BNP Paribas Financial Services. "Expectations of a US rate hike and reports about a weak monsoon and falling rupee has dented investor confidence." Mathews pointed out that Asian markets' cues remain negative, after the Chinese exchanges started trading after a long-weekend holiday. The Chinese exchanges were closed from Sep 3-4, on account of Victory Day celebrations held to commemorate China's victory over Japan in the Second World War. Sector-wise, only banking and realty indices remained afloat, while the rest of the 10 sub-indices were trading in the red. Intense selling was observed in healthcare, capital goods, automobile, metal and fast moving consumer goods (FMCG) stocks. The S&P BSE healthcare index plunged by 212.09 points, capital goods index receded by 117.28 points, automobile index declined by 78.79 points, metal index lost by 74.67 points, FMCG index dropped by 55.29 points. The S&P BSE banking index edged-higher by 8.82 points and realty index inched-up by 1.78 points.